Of all the amazing UNESCO World heritage sites scattered across Spain, one of the most impressive is the Altamira Cave near the medieval village of Santillana del Mar in the state of Cantabria, 30 km west of the city of Santander. Altamira (Spanish for ‘high views’) is a cave in Spain famous for its Upper Paleolithic cave paintings featuring drawings and polychrome rock paintings of wild mammals and human hands. 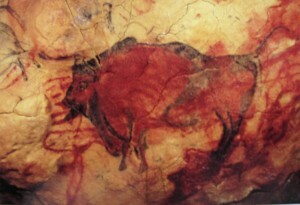 Altamira was inhabited by different groups of people living in family bands between 36,000 and 13,000 years ago. 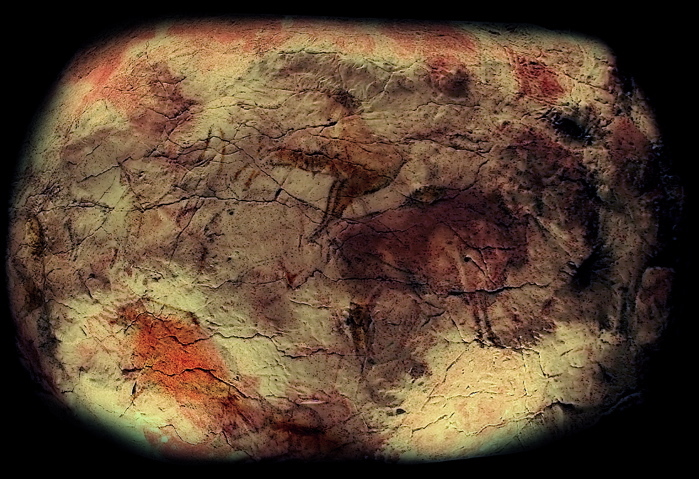 What they left behind is some of the most impressive cave paintings in the world. The actual cave was found in 1879 and has been closed to the public to preserve it since 1977. The next best thing is the recreation of one section called the Polychrome Room ceiling paintings, all part of a large museum called the Neocave or new cave. The exact duplication of the bison, horses, deer and other animals were interesting, but the museum itself is worth several hours and is absolutely fascinating. It covers the entire history of the human race with drawings, paintings, artifacts, carvings, objects, tools, videos and physical displays. Evening found us back at the Playa Merón campground, €5 for the night and a short walk from what is surely one of the most perfect beaches on the North Coast of Spain. The Altamira cave in Spain is famous for its Upper Paleolithic cave paintings featuring drawings and polychrome rock paintings of wild mammals and human hands. No photos were allowed throughout the museum. This postcard shows one of the beautiful bison from the polychrome room’s ceiling, created about 14,500 BC. 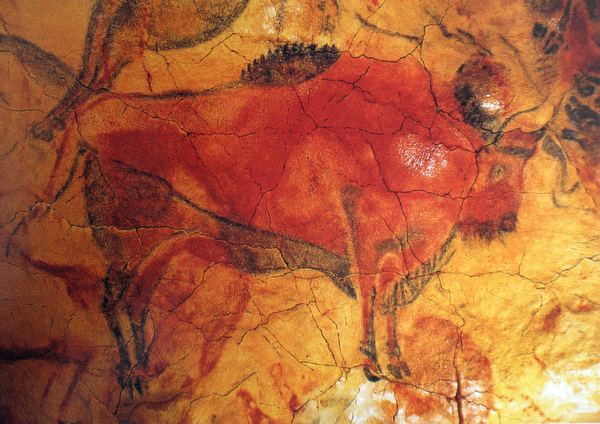 This artistic bison, also a photo from a postcard, was created around 14,500 BC.